Koltsovo International Airport (Russian: Аэропорт Кольцово) (IATA: SVX, ICAO: USSS) is the international airport serving Yekaterinburg, Russia, located 16 km (10 mi) southeast of the city. Being the largest airport in Sverdlovsk Oblast, Koltsovo also serves nearby towns such as Aramil, Sysert, and Polevskoy. In general, the airport is responsible for serving approximately 4,290,000 people. 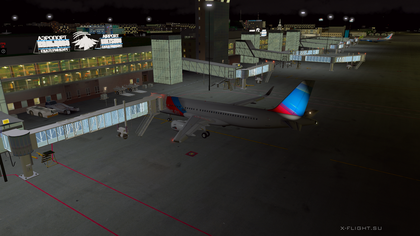 The airport is a hub for Ural Airlines, RusLine and Aviacon Zitotrans. Due to its location in the center of Russia, Yekaterinburg's airport is included in the "Priority Airports" list of Russia's Federal Air Transport Agency (Rosaviatsia). 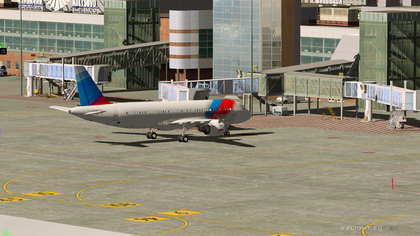 Tsentralny Airport (IATA: OMS, ICAO: UNOO) is an airport in Omsk Oblast, Russia, located 5 km southwest of Omsk. It is capable of handling wide-bodied aircraft and 975,000 passengers passed through the airport in 2013. In 1931 the Vladivostok Airport was constructed next to the town of Artyom with commercial flights began in the summer of 1932. In the decade after the war planes Po-2 and W-2 are widely used in air-chemical works and coastal exploration fish in the service of geologists and forests patrolling. Passenger flights in the Moscow - Vladivostok route was taking place in 1948 performed using Ilyushin IL-12. From 1959 to 1964 complex of ground facilities was built to allow regular flights with larger planes. The domestic Terminal B of the airport underwent complete renovation during 2005-2006, which made it one of the most comfortable and up-to-date airport terminals in Russia. The renovated terminal was re-opened on December 19, 2006. Federal and regional government announced plans to rebuild Vladivostok International Airport prior to the APEC Russia 2012 Summit on Russky Island, south of Vladivostok. 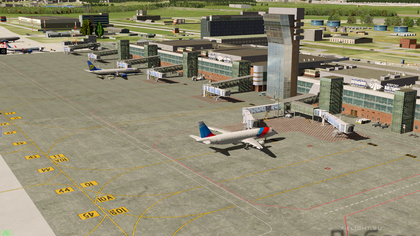 A new terminal (terminal A) was built in 2012, at a cost of 7 billion RUB. The capacity of this new terminal building is 3.5 million passengers/year. Runway 07R/25L was also reconstructed and lengthened, to 3,500 meters. This new runway is capable of accommodating all aircraft types without any restrictions. Yakutsk Airport (Yakut: Дьокуускай Аэропорт, Coquusqay Aeroport IPA: Russian: Аэропо́рт Яку́тск, Aeroport Yakutsk) (IATA: YKS, ICAO: UEEE) is an airport in Yakutsk, Russia. It has one runway (an older runway serves as a parking area for disused aircraft) and has a capacity of 700 passengers per hour. 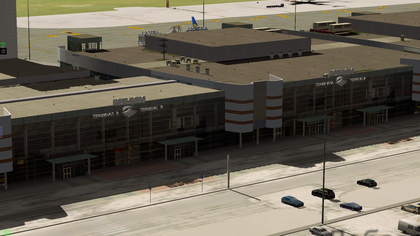 Yakutsk has another, smaller airport at Magan. Ignatyevo Airport (Russian: Аэропорт Игнатьево) (IATA: BQS, ICAO: UHBB) is a large airport in Russia located 20 km northwest of Blagoveshchensk. It services up to medium-sized airliners and conducts 24-hour flight operations. 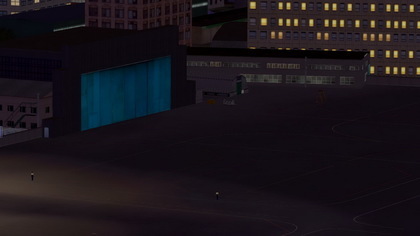 The civilian area parks 44 aircraft, with a military pad on the northwest side of the airfield, possibly for forward deployment purposes. On 8 August 2011, IrAero Flight 103, operated by Antonov An-24 RA-46561 overran the runway on landing. Of the five crew and 31 passengers on board, twelve people were injured. Abakan Airport is a civil international airport of federal importance in the city of Abakan, the Republic of Khakassia. Abakan Airport is located in the north-west of the city center. Refers to airfields of class "B" and is included in the airport of the 2nd class. The airport operates 24 hours a day. 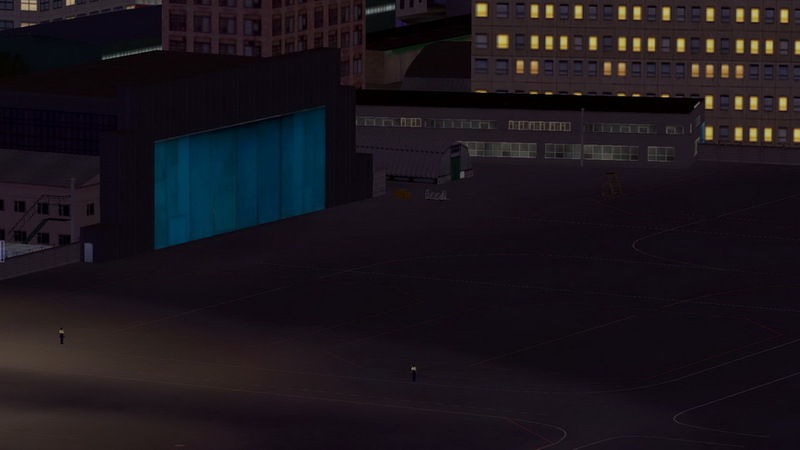 The aerodrome is intended for carrying out flight, international, training, test flight, aerial work. It has one runway with an artificial surface of 3250x45 m in size. Accepts and maintains the following types of aircraft: A-319, A-320, A-321, B-757, B-767, B-737, Tu-204, Tu-214, IL-62, IL-86, IL-96 , An-124, Il-76TD and other aircraft with a maximum takeoff weight of up to 392 tons. And also the reception and maintenance of helicopters - all types. The Abakan Air Division of the East Siberian Civil Aviation Administration was established in September 1938 with the aim of organizing passenger and freight traffic on the territory of the Khakass Autonomous Region and the southern regions of the Krasnoyarsk Territory. On March 1, 1993, SE "Airport Abakan" was formed as an independent enterprise through the separation from the Abakan aviation enterprise. The decision to allocate was taken by the Committee on State Property Management in coordination with the Department of Air Transport and the Council of Ministers of the Republic of Khakassia. Through the efforts of the Directorate and the Government of the Republic, by 1993, a considerable amount of work on the preparation of the international sector was accomplished and obtained the status of an international airport. Abakan Airport is the only airport serving the population of the Republic of Khakassia and the southern districts of the Krasnoyarsk Territory, therefore the role of the airport as a backup for international airports Novosibirsk and Krasnoyarsk is extremely important. G. Abakan is a city in Russia, the capital of the Republic of Khakassia. Forms the city district of the city of Abakan. It is located at the mouth of the Abakan River, which flows into the Yenisei, 3390 km east of Moscow and 270 km south of Krasnoyarsk. The population of the city is 181 700 people. Shushenskoye Airport (Kazantsevo) is a regional airport located in the south of the Krasnoyarsk Territory near the village of Kazantsevo, 11 kilometers from the regional center of Shushenskoye. The airport operator is LLC "Airport complex" Shushenskoye". An-12, An-24, An-26, An-28, An-32, An-74, Yak-40, L-410 and more light helicopters of all types. The length of the runway is 1800 meters. The main purpose of the airport in the Soviet era was to service tourists arriving in the museum-reserve Siberian exile of VI Lenin. Thanks to this, a large airport terminal was built at the airport, well preserved to the present day. It was decided to resume the passenger message on May 20, 2016 - to fly twice a week from Krasnoyarsk to Shushenskoye to Krasnoyarsk. In order to further develop tourism, it is planned to extend and widen the runway in the next two years for the adoption of international-class aircraft. 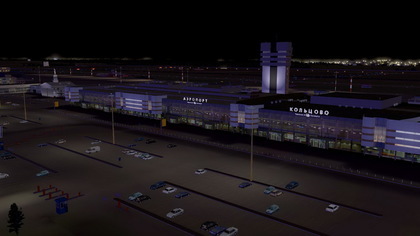 Kemerovo International Airport (International Airport of Kemerovo) (IATA: KEJ, ICAO: UNEE). also known as Alexey Leonov Airport, is one of the two major airports in Kemerovo Oblast (Kemerovskaya oblast), Russia, Southwestern Siberia located 10 km southeast of Kemerovo. It is a civilian airfield service, medium-sized airliners, but large enough to be used for military purposes. It's started work in 1960. Initially, the flights were carried out by IL-18 from September 15, 1962 until the end of the 1970s. Since the mid-1970s, non-stop flights on Tu-154 aircraft have started on the routes Kemerovo-Moscow, Kemerovo-Sochi and others. In the 1980-1990s, flights from the Kemerovo Airport were carried out in the following directions: Moscow, Sochi, Krasnodar, Mineralnye Vody, Petropavlovsk-Kamchatsky, Norilsk, Nizhnevartovsk, Magadan, Irkutsk, Rostov-on-Don, Krasnoyarsk (Emelyanovo), Novosibirsk, Novokuznetsk, Biysk, Abakan, Bratsk and others. In the early 1990s, the authorities of the Kemerovo region began reconstruction of the Kemerovo airport to give it international status. For this purpose, the construction of a new runway, capable of receiving wide-body international-class airliners, was started, in 1995 a separate terminal for international flights was built. Scheduled regular international flights to Beijing, Istanbul and others. However, in 1997, with the replacement of the governor of the Kemerovo region, the construction of the strip was frozen at the stage of readiness of 60%. In early 1999, the construction was restarted, and in December 2001 a new 3200-meter runway was solemnly opened, the airport was able to receive IL-96 and Boeing-747 aircraft and was given the status of an international one. At the same time, WFP was transferred to federal ownership on account of the debt of the Kemerovo Region to the federal government for 830 million rubles, in March 2002, similarly for the debts of 327 million rubles, the building of an international terminal with the area of ​​4000 m² and some other facilities were transferred to federal ownership. Back in the 1990s, the APPA-4 auto trailer was used as an apron bus, later rented buses from Kemerovo PATP-3, and in 2006, a special airport bus LAZ AX183 "AeroLAZ" entered the Gubernatorial program "Transport". Before the financial crisis of 2008-2009, within the framework of tourism development in the region, it was planned to establish a regional airline on the basis of Kemerovo International Airport using IL-114 aircraft. Regular flights to Krasnoyarsk, Yekaterinburg, Alma-Ata, Tashkent, Gorno-Altaisk, as well as the development of local airlines were planned. In the spring of 2012, only two internal flights to Moscow were present in the schedule: Aeroflot (Sheremetyevo) and S7 (Domodedovo). At the same time, during the period 1996 / 97-2003, considerable financing was invested in airport modernization (reconstruction of the runway, construction of an international airline terminal). In 2011-2012, the Governor of the Kemerovo Region, AG Tuleev, repeatedly appealed to the Federal Antimonopoly Service with a request to verify the legality of certain aspects in the activities of the airport. According to A. Tuleyev from the Kemerovo airport too high cost of tariffs. In particular, according to the governor of the region, Aeroflot, as well as S7, illegally raises tariffs for air transportation. The new owners propose to divide the capital reconstruction of the air harbor of the regional capital into stages. The reconstruction of both terminals and their connection with the installation of telescopic ladders is planned. In 2017-2018 years. the design will be completed, the communications and the station square will be put in order. The basic construction works will be for the period from 2019 to 2021. 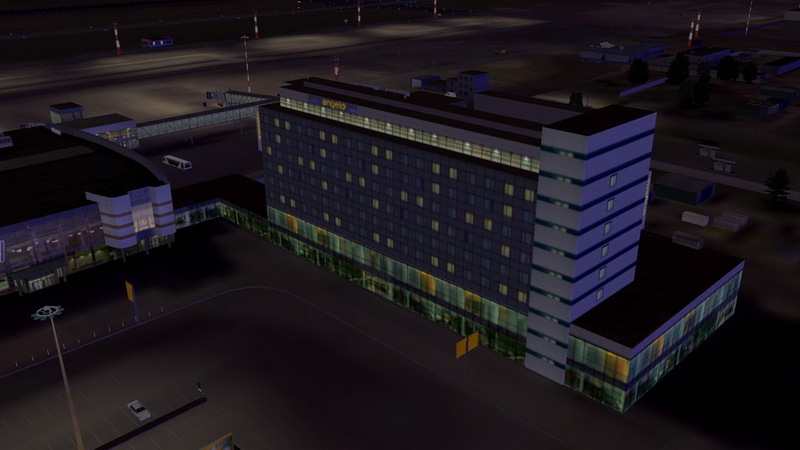 By 2020, the owners of the Kemerovo airport are also planning to expand the platform by 2.5 times. There will be 27 parking places for air transport, which will allow three air operations per hour. Attention! 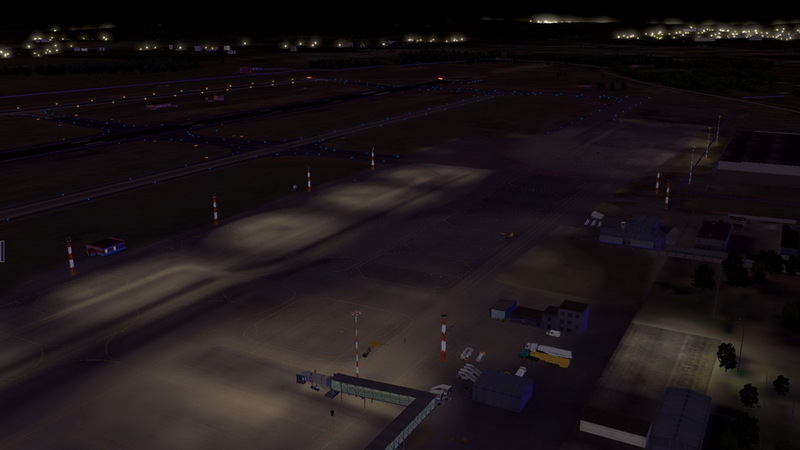 In scenery_packs.ini phototerrain underlay should be right behind the airport script.